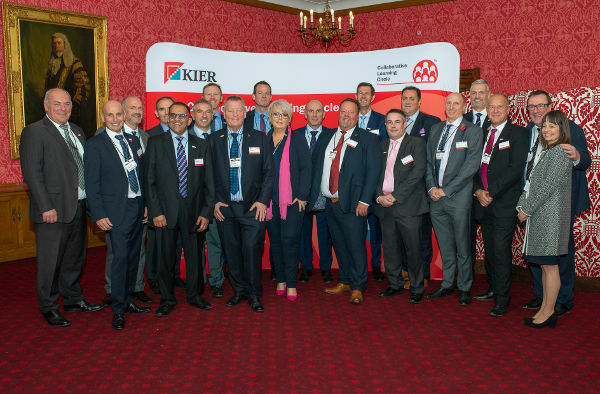 Kier Highways has launched a major new initiative that aims to help transform the sector’s approach to safety, customer service and delivery through innovation and collaboration. The Collaborative Learning Circle (CLC) is a learning and development forum that partners with companies within the highways industry. It was launched this week at an event at the House of Lords hosted by Baroness Newlove of Warrington and attended by key figures across the highways industry, members of the House of Lords and wider industries including aviation, defence and rail. A core part of the initiative is an e-learning platform designed to deliver collaborative-based learning and development approved and endorsed by the Chartered Institution of Highways and Transportation (CIHT) and the Institute for Collaborative Working (ICW). The modules qualify for Continuing Professional Development points and focus around collaborative working and safety in the industry. The CLC was founded by Kier Highways executive director Dave Wright to be an industry-wide initiative. Founding members include; Kier Highways, Aggregate Industries, Tarmac Trading, Carnell Support Services, Toppesfield, R&C Williams, WJ and Chevron TM. Kier said that giving back to communities and supporting the next generation of talent is core to the CLC’s values and that as part of its work the CLC has partnered with OnSide Youth Zones, which is bringing 21st Century youth provision to areas in the UK that suffer poverty and deprivation. The CLC and its partners are supporting OnSide through both charitable fundraising events while its membership is looking to address the skills gap in the UK construction industry. Working with Onside it aims to create up to 5,000 new apprenticeships over the next five years for the young people within the OnSide Youth Zones, generating some £500m in social value.